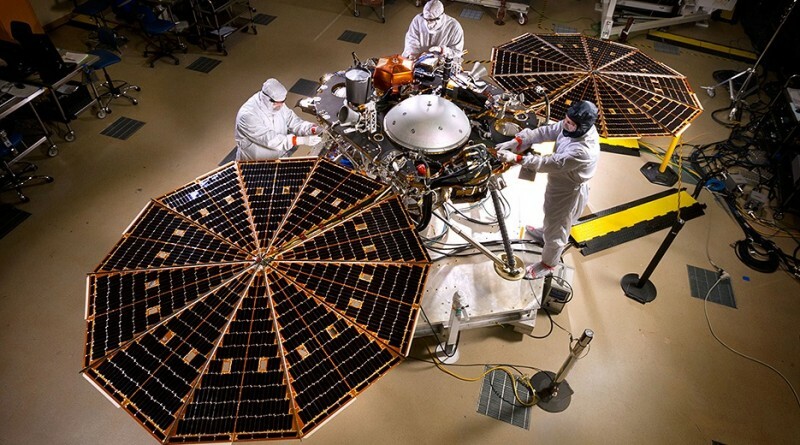 NASA is not giving up on the Mars InSight mission, the agency announced on Wednesday, noting that the mission is targeting a launch date of May 5, 2018 after its 2016 launch campaign had to be suspended due to problems with the prime instrument of the stationary Mars lander. 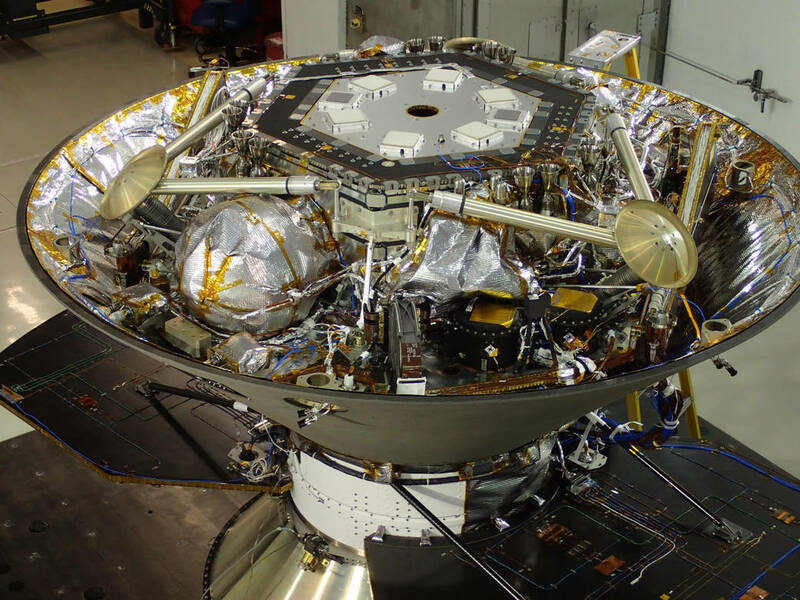 InSight originally aimed for liftoff atop an Atlas V rocket in March 2016, but the launch campaign was abandoned in December after it had become clear that a vacuum leak in the lander’s seismometer could not be fixed in time to meet the planetary launch window. After the cancelation, the fate of the mission was hanging in the balance as NASA was faced with a significant cost overrun if opting for a two-year push, therefore a complete cancelation of the mission was not off the table. 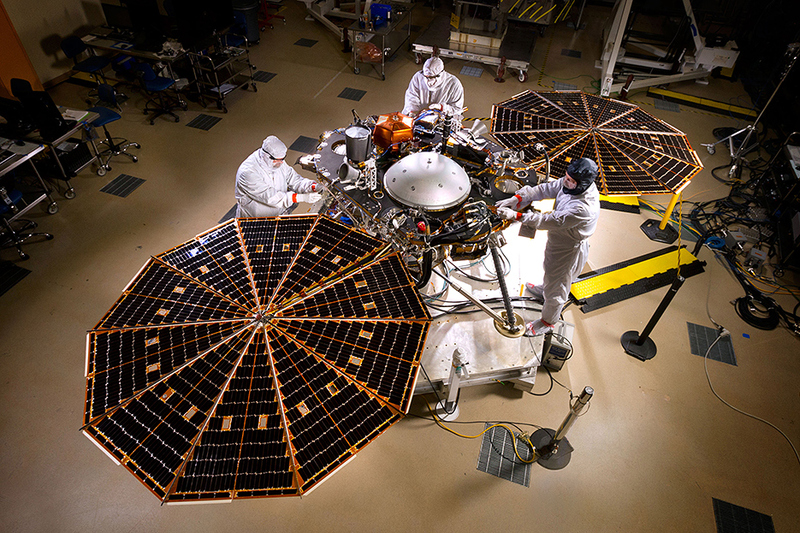 InSight, going by the full name ‘Interior Exploration using Seismic Investigations, Geodesy and Heat Transport,’ is a stationary Mars lander with heritage from the 2008 Mars Phoenix lander, built by Lockheed Martin Space Systems and outfitted with a seismometer and heat transfer probe for an investigation of the geological evolution of Mars to expand the current understanding of the formation and evolution of the Solar System’s terrestrial planets. Problems with the SEIS seismometer instrument arose in August 2015 when leak checks showed that the vacuum maintained around the three sensors was leaking. 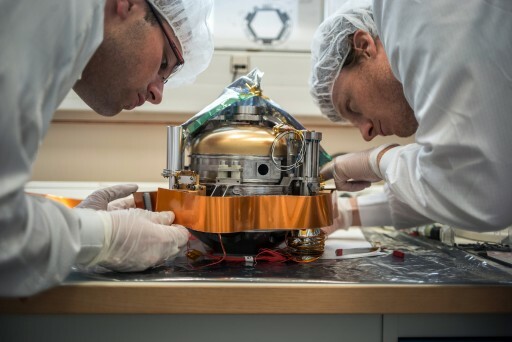 A high-quality vacuum is required for the key instrument of this mission to reach its measurement accuracy, looking at minute ground movements on Mars. A number of attempts were made to patch the leaky weld on the vacuum sphere, but a thermal test at a typical Martian temperature caused a recurrence of the leak. With InSight already at the launch site and liftoff just four months away, NASA and CNES had to cancel the planned launch. 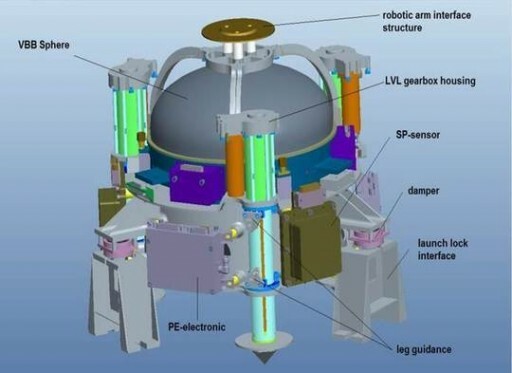 The French Space Agency CNES where the SEIS instrument was developed, worked on a path forward to come up with a procedure to redesign the vacuum system of the seismometer. As part of the new plan, NASA’s Jet Propulsion Laboratory will be in charge of building a new vacuum enclosure for the SEIS sensors while CNES will lead instrument integration and testing according to a schedule that will include interim reviews to assess the technical progress and feasibility of the proposed solution. NASA did not provide an estimate on the additional cost associated with the re-build of the SEIS instrument and the two-year launch delay. Numbers are expected to be published in August when arrangements can be made with launch vehicle provider United Launch Alliance. Originally, InSight was designed as a cost-capped mission with a budget of $675 million for all mission phases including launch vehicle procurement. Until the project was put on hold in December, $525 million had already been spent. Storage cost and keeping the mission team for an additional two years will likely lead to an over-run of the original budget plan. Earlier this month, InSight Principal Investigator Bruce Banerdt told reporters that the replanning of the mission for a May 2018 launch and landing in November would cost about $150 million. The 350-Kilogram InSight lander has been shipped from Vandenberg Air Force Base back to Lockheed Martin’s Colorado facility where it will remain in storage until 2017 when spacecraft preparations will resume. The survival of the InSight project is also good news for the two Mars Cube One satellites – a pair of 6-Unit CubeSats sent to Mars alongside InSight to relay communications during the entry, descent and landing phase– becoming the first CubeSats to operate beyond Earth orbit. Part of the Discovery Program, InSight was selected in 2012 – winning against high-profile mission proposals of a boat to set sail on the lakes of Saturn moon Titan and a comet-hopping probe to explore Comet Wirtanen. 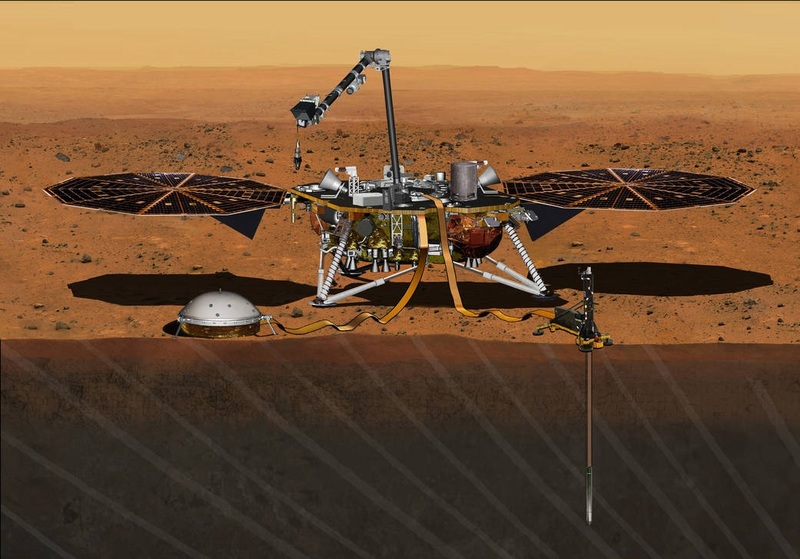 InSight was to be the first seismic instrument to be deployed to the surface of Mars since the Viking lander’s seismometers that did not deliver the promised results back in the 1970s. InSight carries two main payloads – the Seismic Experiment for Interior Structure (SEIS) provided by the French Space Agency CNES to take precise measurements of Marsquakes and other internal activity to provide data on the planet’s interior structure and evolution; and the Heat Flow and Physical Properties Package (HP³) developed by the German Aerospace Center DLR to hammer a sensor up to five meters into the Martian surface to measure heat coming from the Martian Core, aiming to reveal the planet’s thermal history. In addition, InSight is outfitted with a weather monitoring suite similar to that of the Curiosity rover to measure temperature, pressure and winds at the landing site. Insight also hosts a magnetometer to study magnetic disturbances caused by ionospheric interactions and the lander’s radio system was to be employed in an experiment measuring planetary rotation that, when put together with data from the Viking and Mars Pathfinder programs, was expected to reveal the internal structure of the planet.